Harddisk: 30MB SCSI and 40MB SCSI. Other IO: 1.2Mb 5,25″ drive. I picked this machine up from a neighbour, including a lot of additional hardware. 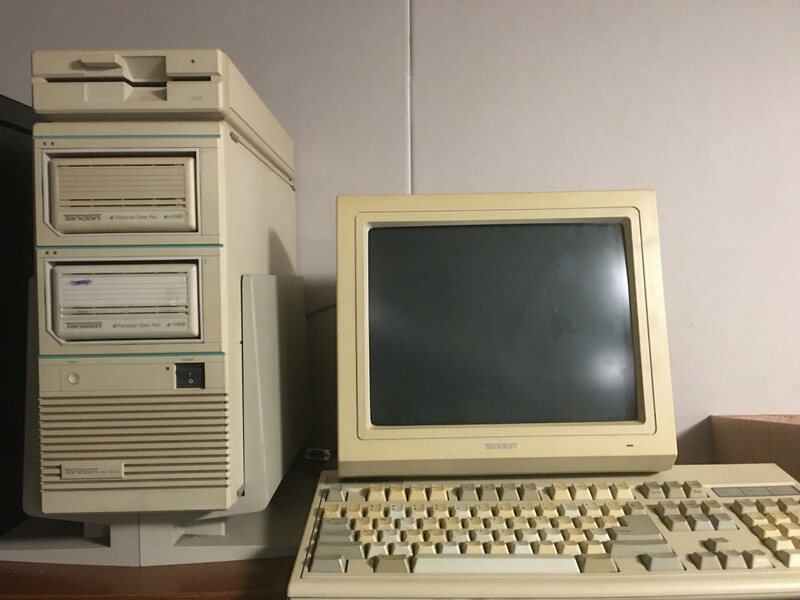 It’s a very interesting case design where the FDD (which is connected using SCSI as well) is actually part of the case itself. After some TLC, the machine booted up with it’s SCSI HDD’s. I still need to clean this machine and give it a retr0bright. I’m surprised somebody decided to put expensive SCSI-disks in a 286 machine.